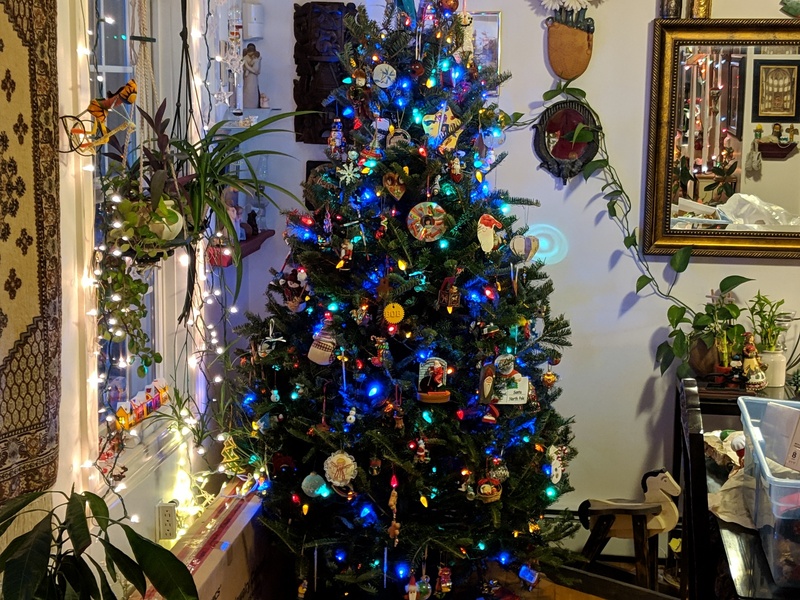 Third Of The Three 2018 Christmas Trees — In All Its Glory. 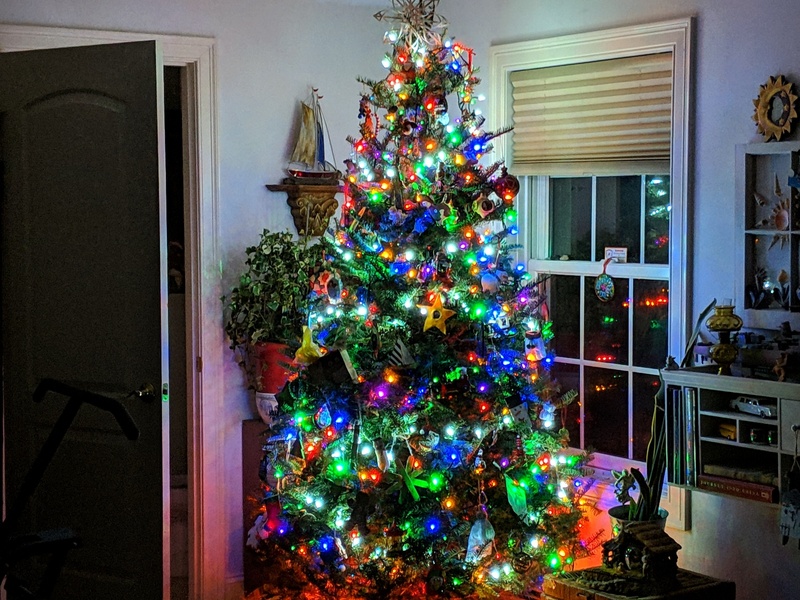 Second Christmas Tree — actually the MAIN one. 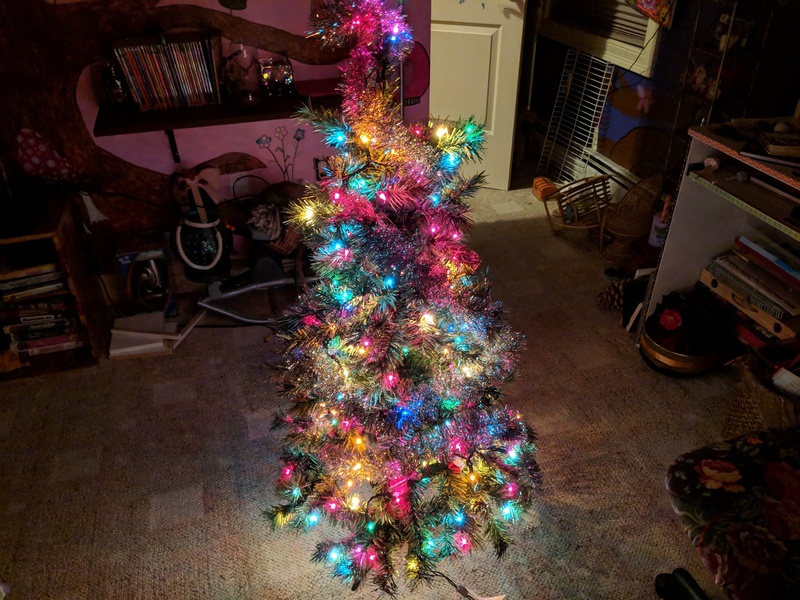 First Christmas Tree — the only artificial one. 2nd & 3rd side-by-side, so to speak. The 3rd Christmas tree, on the ground floor of this 4-story house, was the last to be decorated. But, that was last week. I just never got around to taking any decent pictures until today. Hence, the delay in posting. Three trees as in the last couple of years — 2 real and 1 fake.